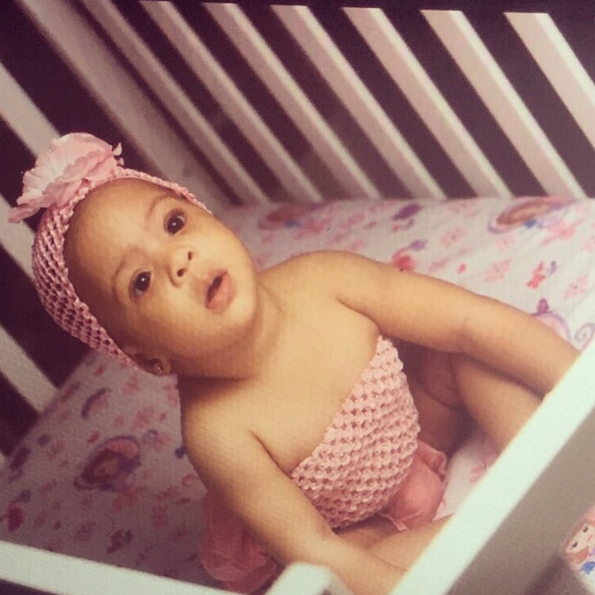 Since she was born months ago,Flavour has been silent about her birth.Today,the singer shared the photo with caption "Gollibe". That's the title of his song ,in which his baby mama and ex-beauty queen, Anna Banner played his love interest. She is cute for days..